Welcome to the Make Money At Home web site located at “http://johngalianos.com” (this “Site”), which is owned by Make Money At Home (“us”, “we”). Please read this page carefully before using this Site. By accessing or using this Site in any way, you agree to and are bound by the terms, conditions, policies and notices contained on this page (these “Terms”), including but not limited to conducting this transaction electronically. These Terms are effective as of 17-06-2018. All contents of this Site are: 2018 Make Money At Home. All rights reserved. This Site contains copyrighted material, trademarks, service marks, logos, trade dress and other proprietary content, including but not limited to text, excepts from a book, photographs, buttons, images, video and graphics, and the entire selection, coordination, arrangement and “look and feel” of this Site and the content are copyrighted as a collective work under United States copyright laws (collectively, the “Content”). Except as provided in these Terms, you may not use, modify, republish, frame, license, transfer, post, transmit, create derivative works from, or otherwise exploit any Content from this Site, in whole or in part, without the express permission of Make Money At Home. Reproduction, distribution, republication, and/or retransmission of material contained within this website is prohibited without prior written consent of Make Money At Home. Any other use, including the reproduction, modification, distribution, transmission, republication, display or performance, of the content on this site is strictly prohibited. Nothing contained in these Terms shall be construed as conferring any other license or right, express or implied, under any of Make Money At Home‘s intellectual property rights. The information and materials made available on this website have been prepared by Make Money At Home for general informational purposes only and should not be construed as medical advice on any subject matter, or to answer specific medical problems you may have. No recipients of content from this site, clients or otherwise, should act or refrain from acting on the basis of any content included in the site without seeking the appropriate medical or other professional advice on the particular facts and circumstances at issue from a doctor licensed in the recipient’s state. The content of this website contains general information and may not reflect current medical developments. Make Money At Home expressly disclaims all liability in respect to actions taken or not taken based on any or all the contents of this website. 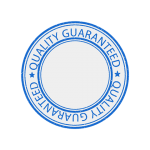 While we try to ensure the accuracy of the information on this website, we cannot guarantee that all of the information is accurate or complete. You should be aware that medicine is constantly changing and varies by circumstance. Therefore, information on a given medical or medical issue may not be current or apply to your particular situation. You should not act or refrain from acting upon this information without seeking the advice of professional doctor in your geographical area. Viewing and use of any of the information on this site does not create an attorney-client relationship between you and Make Money At Home. Make Money At Home does not author, edit or monitor these Linked Sites, and is not responsible or liable for (a) the availability of or content provided on such Linked Sites, nor does inclusion of any link imply endorsement of the Linked Sites by Make Money At Home or vice versa; (b) third party content accessible through such Linked Sites; (c) any loss or damage whatsoever you may incur from dealing with any Linked Site; or (d) your dealings with any third parties found on or through this Site, the payment for and delivery of goods if any, or any terms, conditions, warranties, or representations associated with such dealings. You bear all risk associated with the use of such Linked Sites, third party services, and your correspondence or business dealings with third parties found on or through this Site. Make Money At Home’s Code of Conduct is communicated to and signed by all our supply chain partners. This Code of Conduct was developed using established international frameworks, including the International Bill of Human Rights and the ILO Fundamental Principles and Rights at Work — such as the Forced Labour Convention (No.29), Abolition of Forced Labour Convention (No.105), Minimum Age Convention (No. 138) and Worst Forms of Child Labour Convention (No. 182) amongst others. In addition, the Code of Conduct draws from the ETI Base Code, recognized as one of the leading frameworks in the global beauty industry. Make Money At Home makes no representation of any kind regarding this Site, Content or any portion thereof, WHICH ARE PROVIDED ON AN “AS IS” AND “AS AVAILABLE” BASIS, WITH ALL FAULTS. Make Money At Home EXPRESSLY DISCLAIMS ALL WARRANTIES OF ANY KIND, WHETHER EXPRESS OR IMPLIED, INCLUDING BUT NOT LIMITED TO, THE IMPLIED WARRANTIES OF MERCHANTABILITY, FITNESS FOR A PARTICULAR PURPOSE, AND NON-INFRINGEMENT, AS WELL AS ALL WARRANTIES ARISING BY USAGE OF TRADE, COURSE OF DEALING, OR COURSE OF PERFORMANCE. Without prejudice to the generality of the foregoing paragraph, Make Money At Home does not warrant that this website will be constantly available, or available at all; or the information on this website is complete, true, accurate or non-misleading. IN NO EVENT SHALL Make Money At Home BE LIABLE FOR ANY INDIRECT, INCIDENTAL, SPECIAL, PUNITIVE, exemplary, INCREASED OR CONSEQUENTIAL DAMAGES, LOSS OF PROFITS, DATA, GOODWILL OR USE, INCURRED BY YOU OR ANY THIRD PARTY, WHETHER IN AN ACTION IN CONTRACT OR TORT (INCLUDING NEGLIGENCE AND STRICT LIABILITY), ARISING FROM YOUR ACCESS TO OR INABILITY TO ACCESS, OR USE OF, THIS SITE, EVEN IF Make Money At Home HAS BEEN ADVISED OF THE POSSIBILITY OF SUCH DAMAGES. Without limiting the generality of the foregoing, under no circumstances shall Make Money At Home or any other party involved in creating, producing, or distributing this Site be liable for any direct, indirect, incidental, special or consequential damages or loss of profits, good will, use, data or other intangible losses (even if advised of the possibility of such damages) that result from (a) any delay, failure, interruption or corruption of this Site or any data or information transmitted in connection with the use of this Site; (b) personal injury or death caused by your use or misuse of this Site; (c) the cost of procurement of substitute goods and services resulting from your use of any goods, data, information or services purchased or obtained or messages received or transactions entered into, through or from this Site; (d) unauthorized access to or alteration of your transmissions or data; and (e) any other matter relating to our Site. You hereby acknowledge that this paragraph shall apply to all nutraceuticals, products, and services available through this Site. Because some states do not allow the exclusion or limitation of liability for consequential or incidental damages, in such states, liability is limited to the fullest extent permitted by law. Notwithstanding the above, Make Money At Home sole liability for any reason to you, and your sole and exclusive remedy for any cause or claim whatsoever, shall be limited to the amount paid by you for any product, information or service purchased by you from us through this Site. Use of this Site is governed by NRW / Germany law. Any claim related to the Site and any product purchased through this Site shall be brought in a federal or state court within one (1) year after the claim arises. Users of this Site consent to the jurisdiction and venue of such courts as the most convenient and appropriate for the resolution of disputes concerning this Site. Make Money At Home may change these Terms from time to time. Please review these Terms periodically for any updates or changes. Your continued use of this Site following the posting of any updates or changes to these Terms constitutes your acceptance of such changes. If you object to any provision of these Terms or any subsequent modifications to these Terms, your exclusive recourse is to immediately terminate use of this Site. Make Money At Home also reserves the right to modify or terminate your access to the Site (or portions of this Site) at any time, temporarily or permanently, with or without notice to you. Make Money At Home may also impose limits on certain features, services or all of this Site without notice or liability. 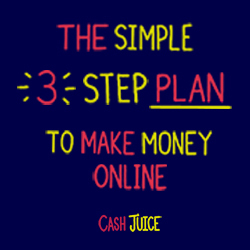 You acknowledge and agree that Make Money At Home will not be liable to you or any third party in the event that Make Money At Home exercises its right to modify or terminate access to this Site or portions of this Site.